Subhash Metal Industries is one of the distinguished Hard Anodized Cookware Manufacturers and suppliers in India. Our hard anodized aluminum cookware is hugely demanded in global market. 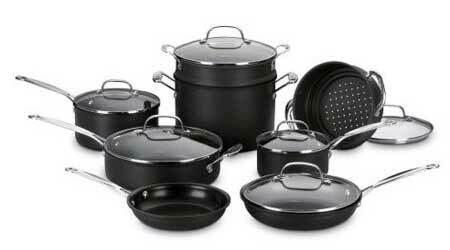 We provide hard anodized aluminum cookware which is completely stick-resistant. Our hard anodized cookwareâ��s are non reactive with the food stuff which ensure the high quality of food. In addition, we proffer hard anodized aluminum cookware which does not alter the color of any food stuff. Our entire aluminum cook-wares are available at the most genuine price.